If your house was burning, what would you take with you? 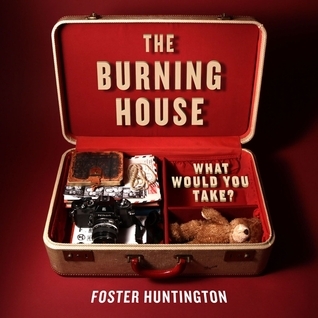 This is the question that Foster Huntington asked and The Burning House is the answer. Foster compiled photographs, that people submitted from around the world, into this wonderful book. This book was amazing. It was so interesting to see different ages and cultures reflected in this work. You can almost guess the age of some people based on what they would take with them. Some of the pictures are surprising and many of the stories are interesting. Each photo is accompanied by some information about the person as well as a list of the items. This is a great book to own and just flip through. It made me question what I would take if my house was on fire. Since I have five cats, I'm pretty sure they are all I would have time for. If you love books of photography this would be a great pick. It's a good coffee table book that works as a conversation starter. You can look through this again and again, it's really fascinating. So, what would you take with you? Wow, this sounds like something I really would want on my coffee table! I definitely want to get a chance to look through this one day, thanks for sharing it.